In this video, Mattie gives you the latest bitcoin and crypto news. He talks about the ethereum chain splitting, BitGo CEO Says Institutional Money in Crypto Can ‘Easily’ Reach Trillions of Dollars, and a new Stellar Lumens fund. This is a daily segment! i think everyone is tired of the on going trillions theory and the Russian theory . Can you please say something about NEX? Great team and roadmap – I would be so happy if you do! Hey @Altcoin buzz have you ever looked into Maxcoin? I think so, but it’s not in this year , the crypto marketcap will rise in 2020 and the bitcoin will be top and second is XRP. comin through with another great video. I do technical analysis videos on the market, keep up the great content. +AD Who knows when, and i hope it does..
How about we talk about going above $150B first before we talk about a trillion dollar market cap. how do you feel about Hashgard ? 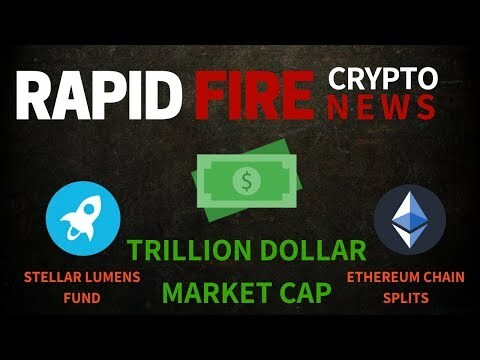 Cardano will be first crypto to be 1 trillion market cap.